Mailed 7/5/17 to Subscribers. Allow 4-6 weeks for USPS delivery. 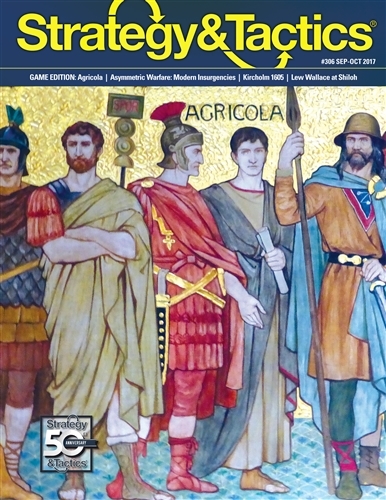 Agricola is a wargame of the campaign fought by Gnaeus Julius Agricola, the Roman governor of Britain (AD 77-85) to conquer northern Britannia (modern Britain). 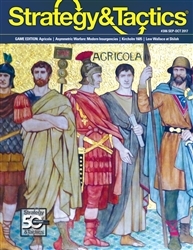 There are two players, the Roman and the Caledonian (the latter actually representing various northern British tribes). 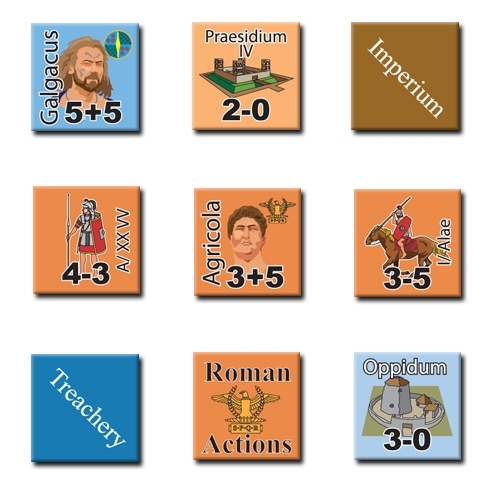 Each player has units that represent military formations or tribal warbands. 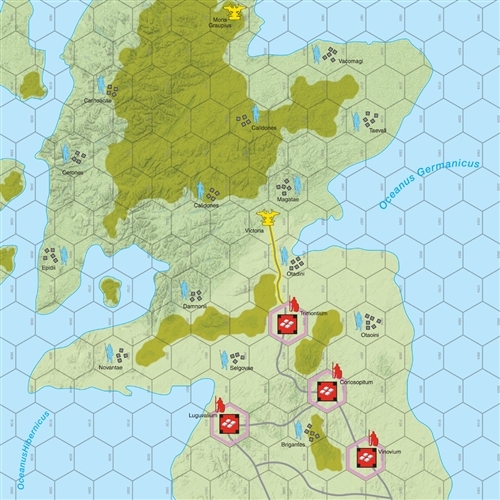 Players move their units, conduct battles and objectives.